miniOrange is a company that has and will always stand for hard work and discipline. From its beginnings, the people involved with it have been hard workers, and we persevere day in and day out to ensure that these values remain ingrained in us. As firm believers in hard work and discipline, the miniOrange team is driven to ensure our customers the best possible experience in all of our various products. miniOrange is a security software company that was built from the ground up by a group of experienced technology architects, with a background in security themselves. Unwilling to continue in their day jobs, the team began miniOrange. Having a deep understanding of security, the miniOrange team applies their technical expertise to create unique and helpful solutions to the needs and challenges of the industry. We are growing day by day and will continue to do so! The miniOrange team’s domain is in Cloud Security, Identity and Access Management, Mobile Security and Vulnerability Management. The central focus of our products and company revolve around these themes. Our solutions are specific, accurate and, most importantly, great at doing what they’re supposed to: Making you more secure! 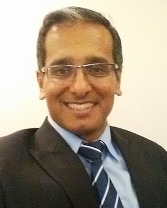 Anirban has almost two decades of experience in architecture, design and delivery of complex security products. Anirban has built high performing teams from scratch both in US and India and scaled them in companies like IBM and RSA Security. He has multiple Papers published on various security and engineering topics related to Strong Authentication, Access Governance, Vulnerability management, Secure Web Gateway, Mobile Security – Access Gateway, Cloud Security - IAM of a cloud stack, Agile adoption in distributed teams, Team collaboration etc. Anirban has successfully transformed teams doing waterfall into adopting agile/scrum methodologies. He has managed cross functional teams including development, quality, user experience and design, documentation, architecture, release engineering etc. He has been responsible for leading a range of product releases, from a v1.0 to a flagship product generating millions of dollars in revenue. He currently operates from Newyork office. In his spare time, Anirban is a triathlete and has recently completed Ironman, Netherlands! Strong Authentication is a solution that ensures that only the right set of eyes have access to critical information sitting on the cloud or on-premise. Our wide range of Strong Authentication techniques and easily configured solutions provide great security at a great cost! Single Sign-On guarantees seamless access to all of your enterprise resources. After being established, miniOrange Single Sign-On allows users to easily and quickly navigate within their company database. Fraud Prevention makes use of its users’ personalized behavioural patterns in order to make authentication as secure against attacks as possible. It fortifies sensitive data in a way that static security solutions can not, making it a valuable protection method. Please contact sales@miniorange.com to find out how we can implement a custom integration with any of your cloud or legacy apps!